Author’s Note: I had already written my weekly Ranger report, but I want to add a few things about last night’s game with the Astros. First, Andrew Cashner did NOT try to hit Jose Altuve. Why would he? It’s not like the Rangers needed to put more base runners on. Second, don’t throw behind a batter. It’s dangerous. Third, when the Astros are in first place and the Rangers are in fourth place in the division, there is no need to start anything. That being said, there are 19 games between the two teams, and the Astros may very well have lit a fire in the Texas Rangers. In a surprising move Sunday, the Rangers claimed infielder Pete Kozma off waivers from the Yankees. The Rangers in a corresponding move sent Jurickson Profar to triple-A Round Rock. While understandable because of Profar’s performance at the plate, Kozma isn’t doing that much better. He’s currently hitting .111, with nine at-bats. The Rangers’ season has been a wild roller-coaster so far. After a whole month of baseball, it’s time to take a long, leering look at the Rangers and where they are. 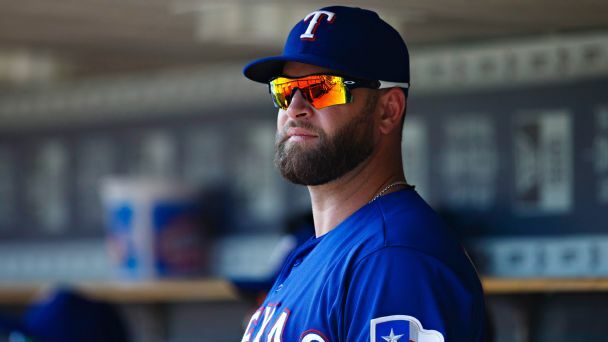 There can be no excuses for Mike Napoli’s performance. His batting average is an abysmal .161. One might forgive Napoli’s bat if his fielding was on point. Because of Napoli’s inability to scoop up the ball from the ground, Joey Gallo has been charged with errors. With no options to send Napoli down to the minors, the only choice the Rangers have is to play him or bench him. Benching him is what they need to do. Ryan Rua, while not an experienced first baseman, has heart and effort and a batting average better than Napoli’s. Delino DeShields has been impressive, and with Rua playing first, DeShields’ speed is great at left field and on the base path. In this wild roller coaster ride for the Rangers, we have the crazy bats that can’t get hot all together. Carlos Gomez hit for the cycle, while the very hot Nomar Mazara has cooled off significantly. Rougned Odor started off great, but now teeters just below .200 and is starting to free-swing again, a problem he had last season and during the World Baseball Classic. On Sunday, he had a chance twice to take the walk but instead kept swinging at pitches outside the strike zone and struck out. Adrian Beltre left the team last week to go back home to California and rehab and see his family. While that does sound wonderful, it also leaves a lot of questions on his condition and when he will come back. Starting pitching: One day, Andrew Cashner is unstoppable; the next, he can’t throw a strike to save his life. One day, Martin Perez has great stuff, then he loses his mind for an inning and the Rangers offense can’t catch up. With Yu Darvish, there is some hope that he is getting settled in. A.J. Griffin had to go on the 10-day DL with gout in his ankle from a seafood dinner. Nick Martinez came in and dazzled at first, but in his next outing crashed and burned, as has been the story with the Rangers. Up and down, and left and right. Which Rangers team is going to show up? Who knows? Your guess is as good as mine! The Rangers’ performance is another turn on this crazy roller-coaster ride. During the Kansas City Royals series, the Rangers’ pitching staff was on point, but as soon as the poorly performing Minnesota Twins come to town, the Rangers lose two out of three, with poor pitching by the starters and the bullpen. Losing two out of three to the Angels has sent the Rangers to the bottom of the standings. 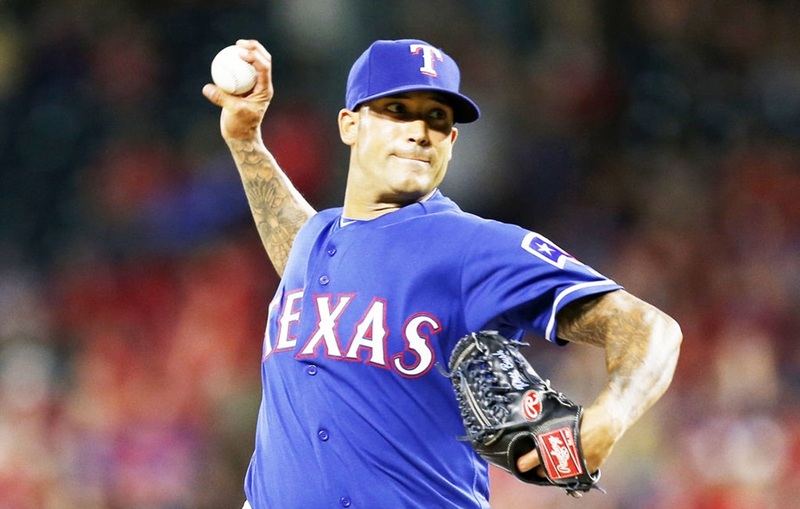 The Rangers put Sam Dyson on the DL, and Matt Bush is the closer now. Dyson is back, and again he is sending the Ranger roller coaster off the track with up-and-down performances. Dyson is not the closer, although why he was brought in Sunday is beyond me, as he gave up another home run in the ninth, this time to the Angels’ Jefry Marte. However, it’s very easy to blame Dyson, and I firmly believe he doesn’t need to see the ninth inning again. The others in the bullpen have been struggling. Tony Barnette had an ERA of only 3.38, but after the Astros roughed him up, it’s at 6.48. The criticism that has been put on Dyson, one could easily put that on Barnette. He has not been sharp and has added pressure to an already taxed bullpen. Jeremy Jeffress is good in an eighth-inning set-up role. The Rangers have used him a lot; so much so that it may have affected his performance. Monday started the Houston series, and while the Rangers have had Houston’s number in the past and have won the irrelevant Silver Boot, they do not have a cohesive team. Until they do, this Rangers team is going to ride the roller coaster this season. Next Story → Who’s the Closer?